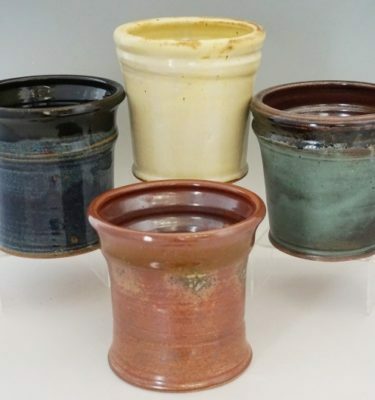 ‘Pottery’ is simply used to describe fired clays. The clay is taken and shaped using the potter’s wheel in a process called throwing. As the clay spins round and round, the potter shapes the clay into what it will become such as a bowl, cup, or vase. Handles for such bowls and cups are made by handbuilding. 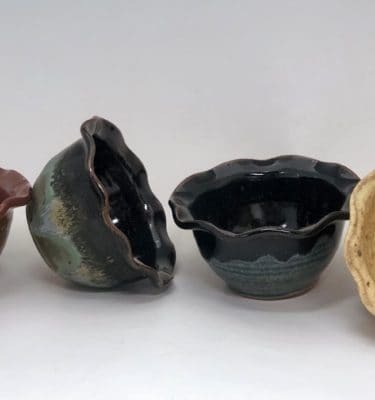 Handbuilding involves constructing coils of clay and attaching to another piece of pottery with the help of a suspension of clay body and water called slip. 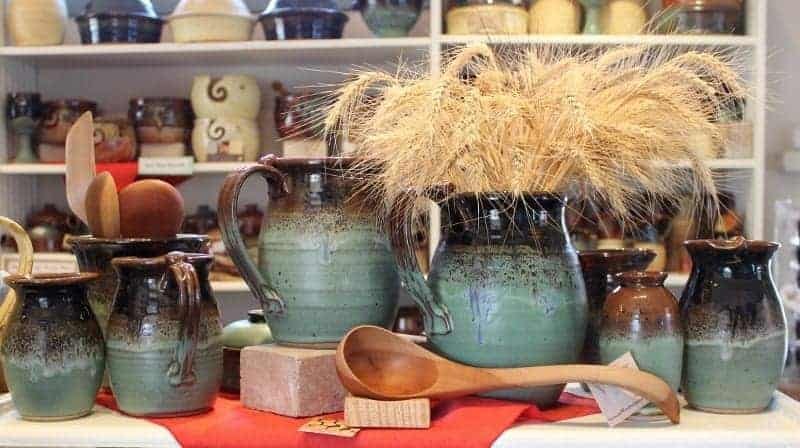 Pottery can also be made by pinching by hand or coiling the clay to form a hollow object. After the pottery is allowed to sit to allow moisture to evaporate, it is placed in a kiln to be bisque. The bisquing process removes the physical and chemical water so that the piece can be glazed. After the pottery is bisqued, it can be glazed. 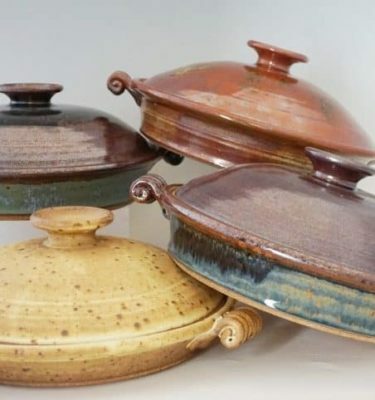 Here at Castroville Pottery, we use 4 different types of glazes to get our Landmark, St. Louis, Henri Castro, and Alsace lines. The bottom of the piece is waxed, so the glaze from the pottery does not affix itself to the kiln shelves during firing. 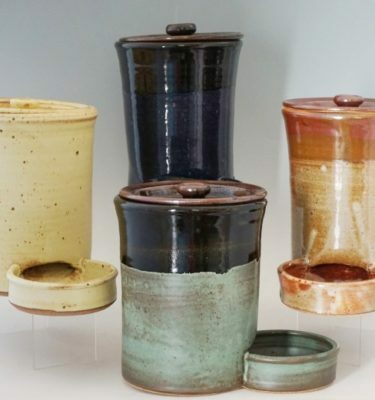 The pottery is dipped into a container of glaze and lifted out and set aside until it dries. After the pottery is glazed and dried, it is returned to the kiln for a second firing. 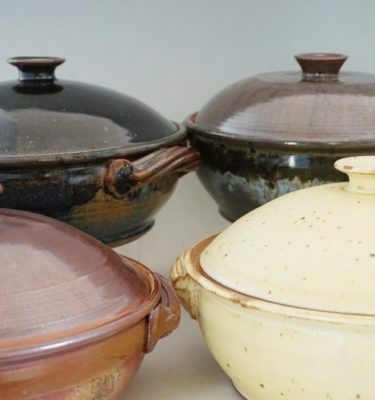 In this firing, the temperature reaches 2340oF, which removes all the remaining water from the clay and induces reactions between chemicals in the clay, causing permanent changes such as the strength and hardening, color change in the glaze, and setting of the clay. Because of these chemical changes, every single piece of pottery that we make is different. No two pieces will be the same, though they may look similar. 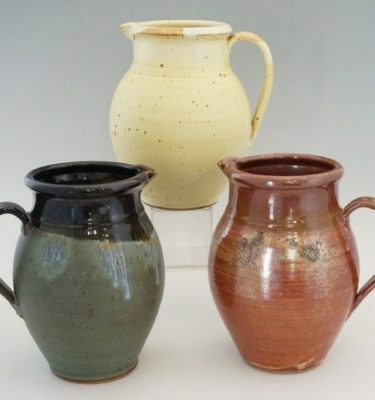 Glazes will fire differently, shrinkage will occur, and small details may be hidden or revealed in the piece. 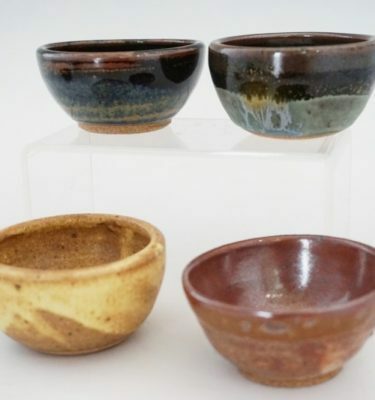 The pottery is then sanded and displayed in our gallery for you! 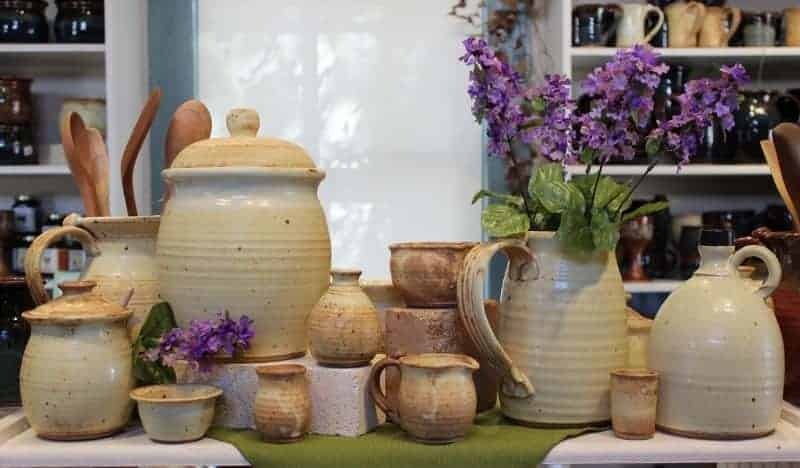 The Castroville Pottery Studio, located in the board-and-batten barn out back, was renovated by Tim and Gloria Kelley in 2008 and converted to a working pottery studio. 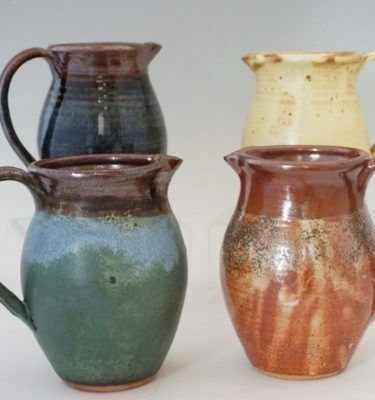 The studio is a two story production facility which provides a comfortable home for our resident artists and contains an array of equipment including potter’s wheels, kilns, a slab roller, an extruder, a pugmill, and a variety of clay and glazes. The wood on the exterior of the studio visibly shows the original wood in contrast with the new wood that was added on for expansion. 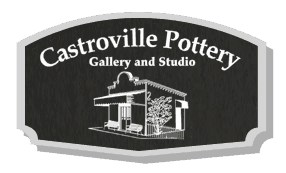 Our buildings are an example of Castroville’s history and were recorded as a Texas Historic Landmark in 2004.